When tasked to pick your own destroyer, it is pretty hard to blank the mind and think of nothing. The Ghostbusters sure failed. Roy Stantz, instead of blanking his mind, tried to come up with a clever trick. If they could think of something that had no chance of harming them, well, what harm could that do? A few ticks later, we have the giant, abominable, legendarily massive marshmallow man of doom! Proton pack or not, there isn’t enough graham cracker and chocolate in the world to match up with that amount of toasted marshmallow. A waste, we say. A waste! That said, Roy might not have had such a bad idea. He just needed to refine it more. Think of a Stay Puft Marshmallow of a reasonable size, perhaps. Think of a baby marshmallow monster. How bad could that be? Well, we thought it, and the rules of the Internet means that it has to exist now. 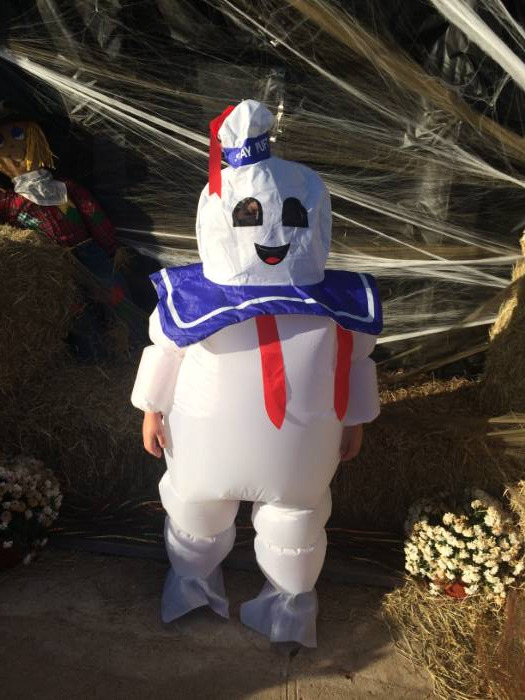 So, here we have the Kid’s Stay Puft costume. 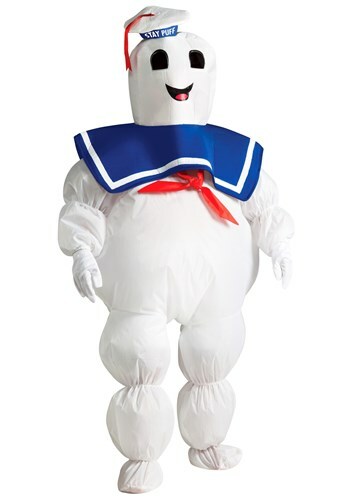 A white inflatable jumpsuit with a back zipper, this costume has easy elastic to hold around the legs, wrist, and neck to keep the air in. A simple 4AA battery pack helps to inflate the suit, just as if being filled with spiritual energy! The attached red ribbon and iconic headpiece make the outfit complete and, this time, in a reasonable size to deal with! Of course, you parents might argue that a kid-sized monster is still a monster. Anyway, the traveler has come and let’s just hope that things turn out well for us all! Everyone loved seeing him! He looks awesome!! Looking to prob get a dinosaur next time! Very thing went perfect! It didn’t fit my 10 year old. I figured one size fits most (kid size) would fit most kids. It was too short in legs and arms. It might fit an average sized 7 year old comfortably. No older than that though.